4. Wait for your Gift! Your beautiful Eva Doll will be 48cm high with a soft body ideal for playing, hugging and even sleeping with! The life-like head, hands and feet, high quality hair and “sleeping” eyes make pretend playtime fun and realistic, helping to develop social skills in children ages 3 and older. Our dolls handmade in the Czech Republic. Our clothing sets are produced in the Czech Republic and are made of carefully selected, high quality jersey fabrics which are easy to wash. Our Flexible design ensures easy wearing and guarantees fun play time adventures! 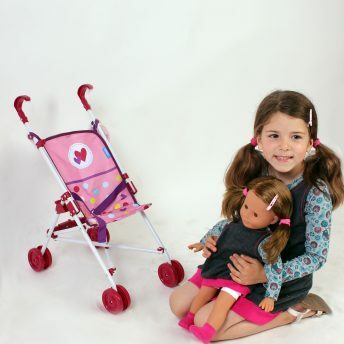 Select cute matching outfits for both your child and Eva Doll!